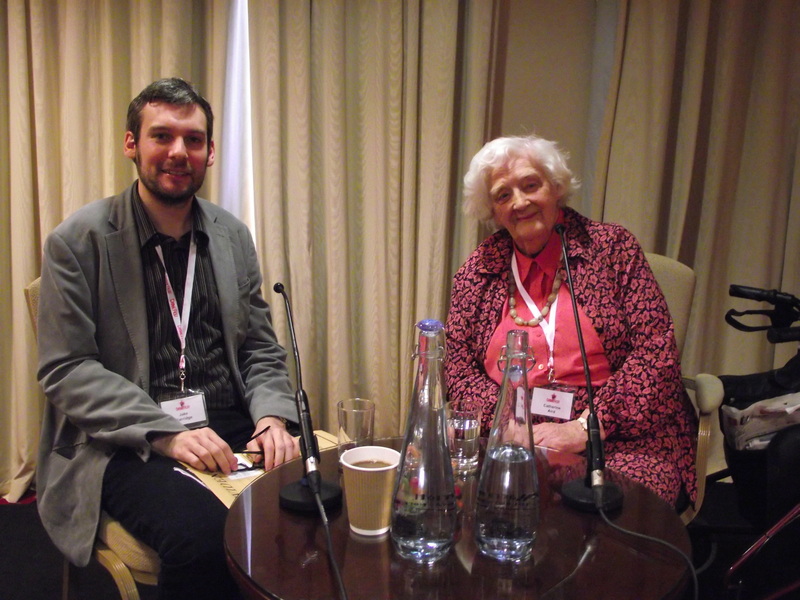 We were delighted to see Catherine Aird, 2015 Diamond Dagger recipient at CrimeFest 2015. Catherine’s appearance was one of the highlights of Deal Noir and it is fabulous that she is being recognised by the CWA for her tremendous achievements over many years writing in the crime genre. This entry was posted in Uncategorized and tagged Catherine Aird, CrimeFest, Jake Kerridge, The Bodies From The Library. Bookmark the permalink.